Many readers will be surprised to learn that in the 1980’s and early 1990’s the City of Ottawa provided land to create affordable housing. Land was purchased and surplus city land set aside and held in an affordable housing land bank. The City’s Housing Branch worked with provincial Ministry of Housing officials and local not-for-profit groups to allocate the sites. Today the City, which now has jurisdictional responsibility for housing, has an affordable housing crisis. 40,000 households live in poverty. In 2016, 7,200 individuals used Ottawa’s emergency shelters a 5% increase over 2015. The wait time for social housing is up to five years and in 2016 only 46 new affordable rental housing units came on stream. In response, City officials announced plans to write to the federal housing minister asking the federal government to triple their funding so the city can build 1,300 badly needed new units. But where will these units be built? The City’s land development corporation which has a mandate to achieve strategic plan objectives through real estate development, recently listed several properties for sale, including multi-unit residential and mixed-use sites and a family housing site on Randall Avenue on the City’s list of affordable housing sites, notwithstanding that in 2016, individuals in families now account for over half of all bed nights used within Ottawa’s shelters. Perhaps Ottawa needs a community land trust. A community land trust is a nonprofit corporation that develops and stewards community assets such as affordable housing in perpetuity. The land trust legally separates ownership of the buildings and homes from ownership of the land thereby removing the property from the speculative land market. 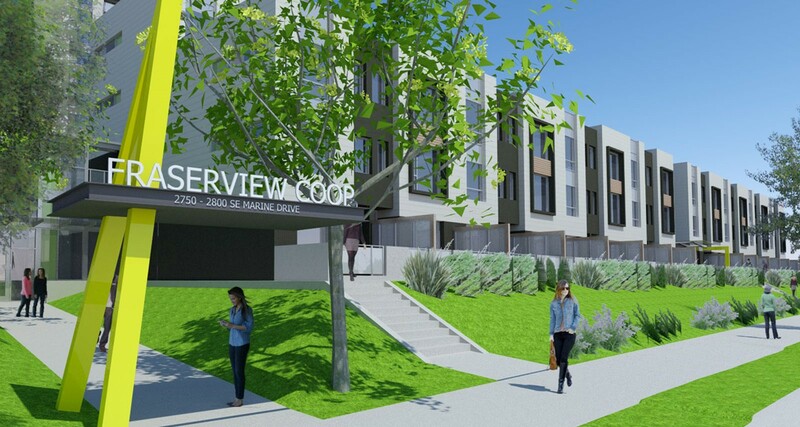 A partnership between all three levels of government and non-profit housing operators are creating 358 new units of new affordable rental and co-op housing in the Vancouver Eastside area. Community land trusts have been around a long time in various forms. One of the best known is in Burlington, Vermont where mayor Bernie Sanders helped make it possible in the 1980’s. In Vancouver, a land-trust model is paving the way for affordable rental housing in Canada’s most expensive housing market. 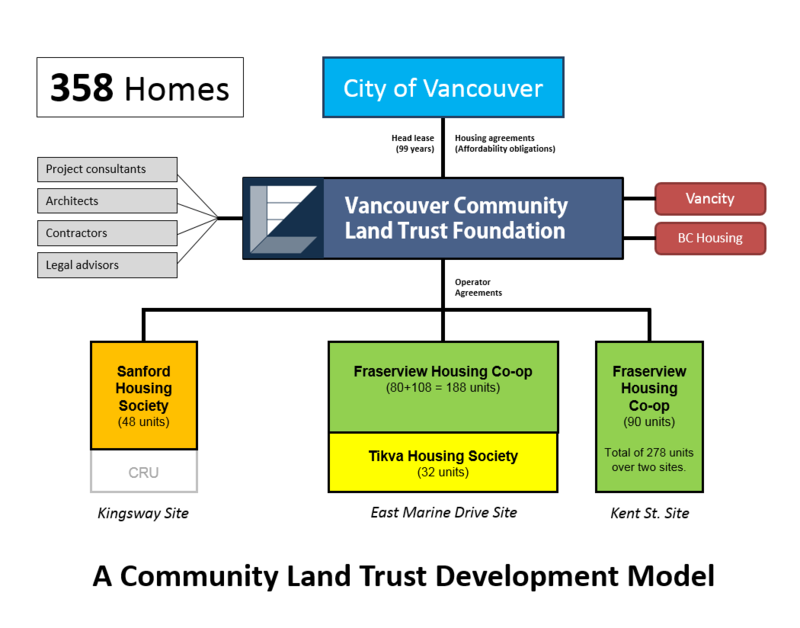 The Vancouver Community Land Trust Foundation is currently developing 358 non-profit and co-operative units on city land. The City of Vancouver leased four parcels of land to the community land trust because it provided better collective benefits than individual non-profits groups working alone. This is because the larger entity is capable of efficiently creating, financing and managing multiple projects. Vancouver can do this because their strategic land bank acquires and hold property for city objectives. The land trust is helping the City meet its target of creating 2,550 affordable units on city land over the next four years. The land trust model works especially well for large tracts of surplus land such as Lebreton Flats because it can also be used to create childcare and other social facilities needed to create complete communities. The housing sector in Ottawa is resilient and has shown great capacity to find funds to create units outside of formal housing programs, but the City needs to support these groups by purchasing and setting aside land for affordable housing. A community land trust is one way the City of Ottawa can build community assets that will serve the long term needs of its citizens and also meet its own housing responsibilities.